This is a guest post by Meagan Rockett, Director, Client Solutions with Greenfield Services Inc. I belong to a few membership-based organizations, and nothing frustrates me more than getting too many emails from them. Often, they are about information, products or services that I am not interested in, or their timing between departments is way off, and I end up getting multiple emails in one day. I am sure that I am not the only one who finds this difficult to take – and at times, I find myself shutting off, and not even opening their emails. What’s sad is that I am likely missing information that I should know, and want to know, all because it has become too much. Determine the types of communication you send first. Make a list with the entire department of the types of information you are putting out there, and who within your membership would be interested in it. Corporate memberships: Those who offer corporate membership should know who within the company should be getting your information, and their job titles. If they are in the C-level suite, they may not be interested in the same information you would send to a marketing contact, a research specialist, a product designer, etc. Offer industry & supplier memberships? Segment them. As a supplier member, I may care about governance issues – I may not. Best to find out. Events, Products or Services? Make sure that I am interested in getting information before sending me the email. For organizations that offer special programs or information to select portions of your membership, do not send information to your entire database. Those who cannot access it, or will not qualify will only get frustrated that they are getting excluded. There are several ways to segment your members. A best practice is not to assume, get them to tell you. Here are a few ways to help gather the information. Send a communication, other than an email, advising that your organization is in the process of segmenting membership in order to provide effective, streamlined communication. In this communication, tell them to expect an email inviting them to provide their preferences. Next step? Send the email. Prepare a landing page with all of their options, and ask them to select the categories that best suit their needs. Make sure that the information transfers easily to your CRM. Did you not get responses from everyone? Follow up with a phone campaign to get their preferences captured over the phone. Yes, it is almost impossible to get everyone’s preferences this way. You can also incorporate the landing page into your online membership renewal process. Make it a mandatory page that they have to fill out in order to renew membership. Armed with this information, go back to your list of communications, and come up with a calendar of emails – knowing that there may be times when an unplanned email has to go out, but rarely. Ensure that you are selective in the number of emails your members are getting from you daily/weekly. All of this effort should increase member satisfaction, engagement, and email open and click through rates. After all, keeping them happy will give you a better chance to keep them renewing, right? Meagan Rockett is the Director, Client Solutions with Greenfield Services Inc.Partnering with Professional & Trade Associations, Meagan consults and develops programs to move the needle in membership marketing & engagement, event marketing & sponsorship/exhibit sales. Excellent recommendations Megan. I belong to several associations and am weary of receiving too many emails about products/services/events that are not applicable to me or which I'm not interested in. Thanks so much for your comment Richard! I get a TON of emails myself, and frankly, it gets too time consuming to sift through the "junk" to find the gems! I have spoken/led several discussions with groups of members of associations that say the same thing. 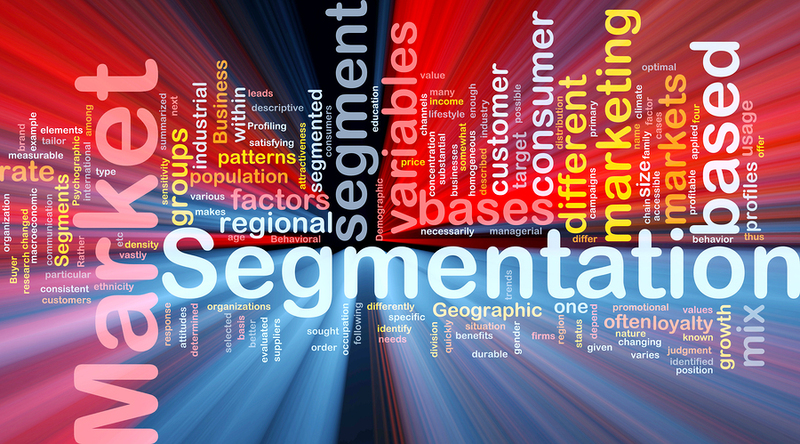 In 2014, I would love to see associations jump on the bandwagon of inbound/content marketing, and that all starts with the proper segmentation plan.